Orchids were once much less commonplace than they are today and were considered a true luxury. In fact, in Victorian times, the term "orchidelirium" was coined to describe the frenzy of orchid collectors. Today, you can pick up an orchid at Home Depot or Ikea — hardly exotic. However, this doesn't make these unusual flowering plants any less beautiful. There are thousands of species and hybrids of orchids. Whether you are a collector of rare specimens or a purchaser of a basic phalaenopsis from the home improvement store, an orchid is a wonderful addition to any room. However, orchids can require delicate care: They prefer bright sunlight and high humidity (which you can provide through daily misting). Orchids also go through a long period of dormancy (not flowering) after their blossoms have faded. 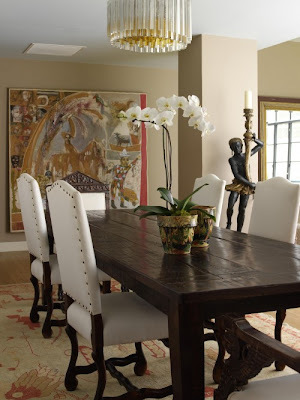 Here is a collection of handsome rooms that all feature orchids; take your inspiration from these spectacular specimens. Lisa Borgnes Giramonti's blog is full of traditional charm. 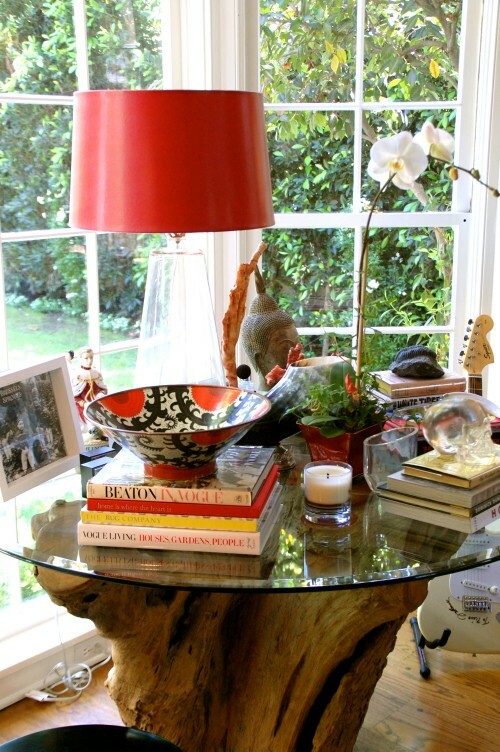 Here she mixes an orchid with stacks of coffee-table books on a glass table. An orchid makes a major impact when reflected in a nearby mirror. 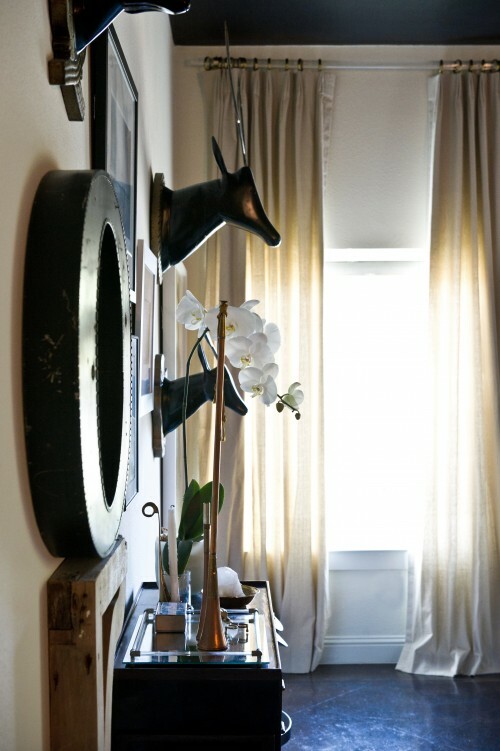 Tiffany Eastman Interiors uses both a hanging mirror and a mirrored console to showcase this beautiful bloomer. A blossoming potted orchid will last much longer than a cut bouquet. Here two orchids are planted in a pair of matching pots for an elegant centerpiece. 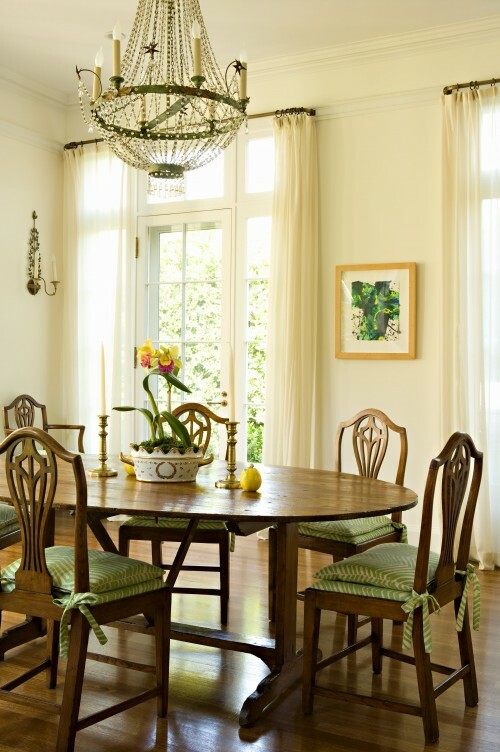 This yellow-blossomed orchid is a cheerful centerpiece in a dining room by Elizabeth Dinkel. Natural hits of bright color are an easy way to perk up an otherwise neutral room. 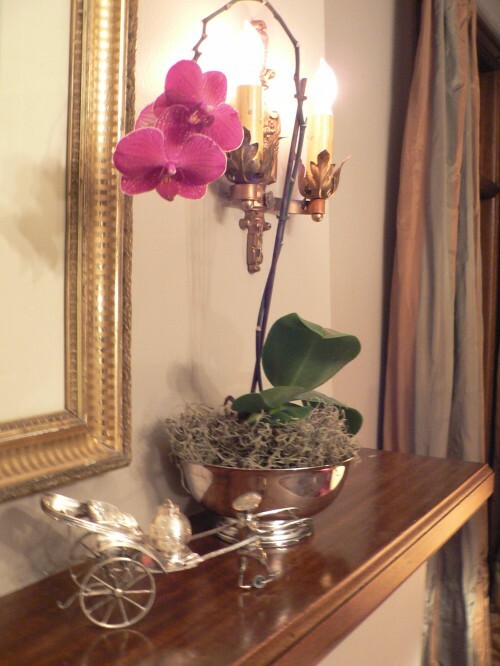 In this corner, a pair of orchids are planted in a vintage trophy. It's a surprising yet classic way to display a beautiful houseplant. A white-blossomed example mixes with exotic wall hangings in the Dallas home of Jamie Laubhan-Oliver. A modern bathroom gets a touch of life from this elegant orchid. Some orchids grow well and bloom under fluorescent lights — a plus for windowless baths. Decorator Niki Papdopoulos knows that orchids like a humid spot like the bathroom. A silver-colored cache pot gives this specimen a glamorous air. Here an orchid is part of a Zen-like grouping of objects. This small orchid has been planted in an unusual glass vessel that appears to be filled with sand. A silver Paul Revere bowl is an unusual planter for this fuchsia orchid. For a vessel with no drainage holes like this, place a layer of rocks at the bottom of the pot.